It’s no surprise that Red Dead Redemption 2 is selling well, whether or not you enjoy the Online version of it or not. The game is a huge hit. With a fantastic Single Player, one of the best ever created. 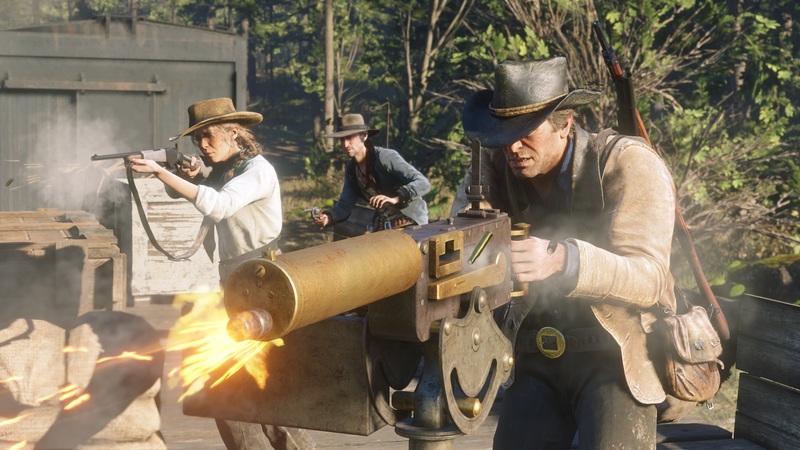 Red Dead Redemption 2 claimed the Number 2 spot in the UK Game charts for the week ending 26th January. Resident Evil 2 claimed the number 1 spot. Which released during that week, so it’s not a shock to see it at number 1, especially with the fantastic reviews it’s received. Congrats to Capcom on a great launch week. Grand Theft Auto V came in at Number 9, dropping one place in sales compared to the week before. Take-Two also had two other games in the UK Top 40 game sales chart, with NBA 2K19 climbing 6 places from 21 to 15 and WWE 2K19 dropping one place to 21. Check out the UK Top 40 below.